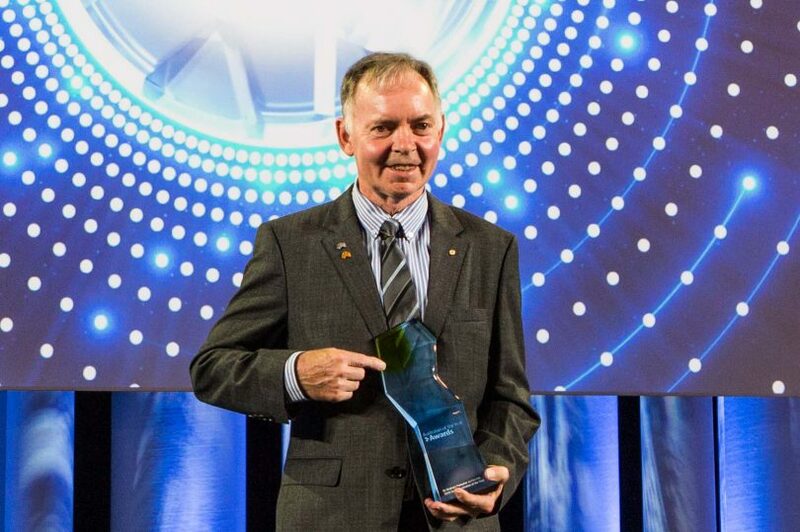 Dr Graham Farquhar, 2018 Senior Australian of the Year. Photo: Jack Mohr. 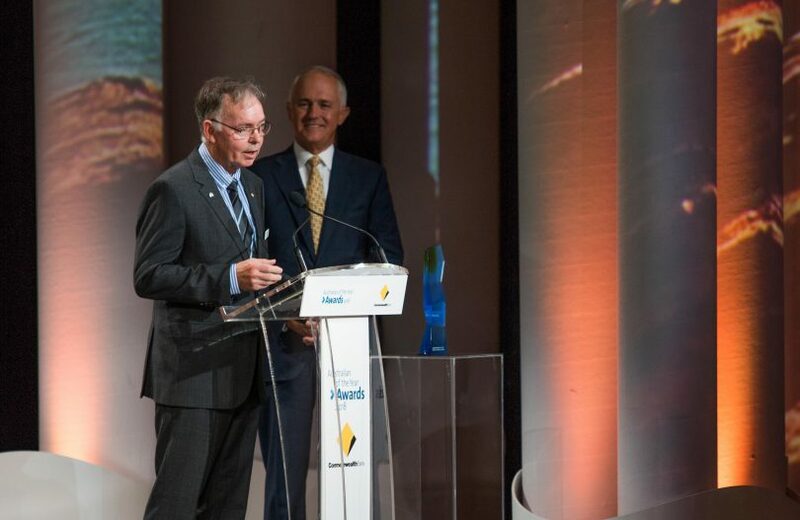 The ACT’s Dr Graham Farquhar has been named the 2018 Senior Australian of the Year at a ceremony at the Great Hall of Parliament House last night (25 January). 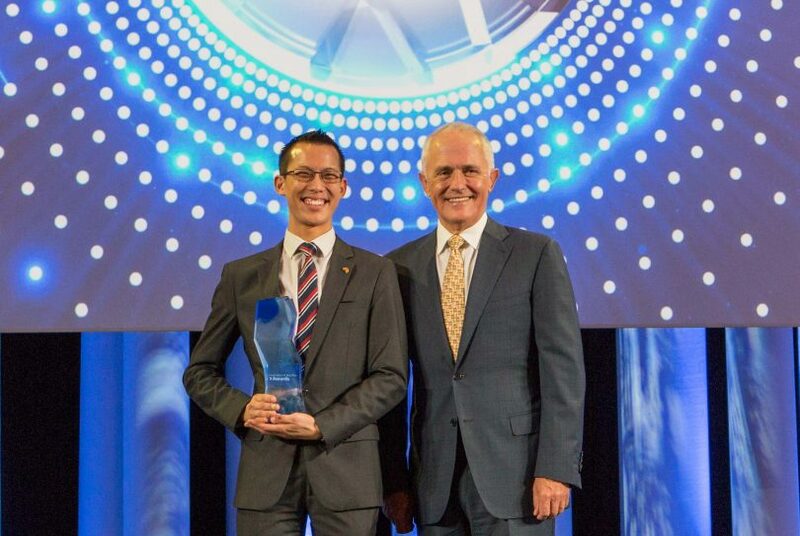 Prime Minister Malcolm Turnbull presented Dr Farquhar with his award as well as handing trophies to the other three national winners – Australian of the Year, Professor Michelle Yvonne Simmons from NSW, Australia’s Local Hero, mathematics teacher Eddie Woo (NSW), and Young Australian of the Year, Matildas star Samantha Kerr (WA). One of Australia’s most eminent scientists, Dr Farquhar is helping reshape the understanding of photosynthesis – the very basis of life on Earth. The 70-year-old Australian National University biophysicist’s work focuses on food security and how the world will feed growing populations into the future. After growing up with a Tasmanian farming family background, Dr Farquhar has used his love of science to deliver practical benefits to the agricultural sector. His study of mathematics and physics formed the bedrock of a career creating mathematical models of how plants work. His research addresses agriculture and climate change and aims to solve some of the greatest challenges of our generation. He has received a string of accolades during his distinguished career for his research examining how water efficient crops can protect food security in a changing climate. Importantly, he has worked to improve world food security by developing strains of wheat that can grow with less water. 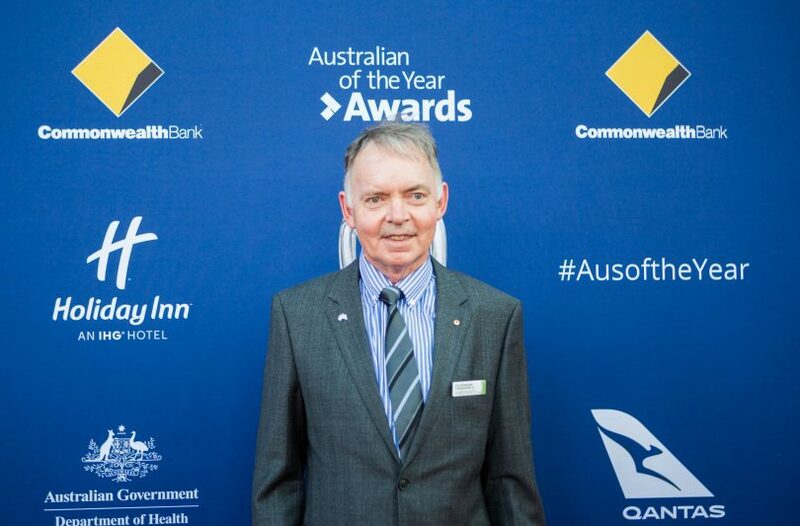 In 2017 Dr Farquhar became the first Australian to win a Kyoto Prize – the most prestigious international award for fields not traditionally honoured with a Nobel Prize. 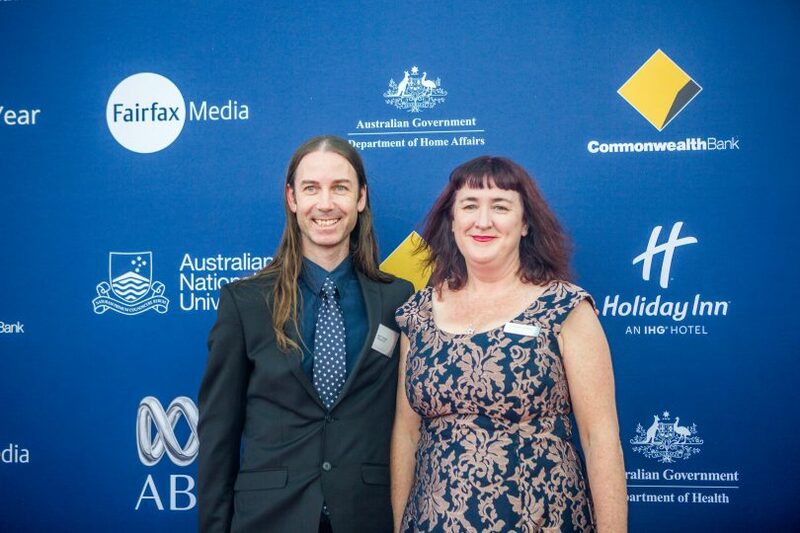 The ACT’s other representatives were Mark ‘Dion’ Devow (ACT Australian of the Year), Zack Bryers (Young Australian of the Year) and Suzanne Tunks (Local Hero). 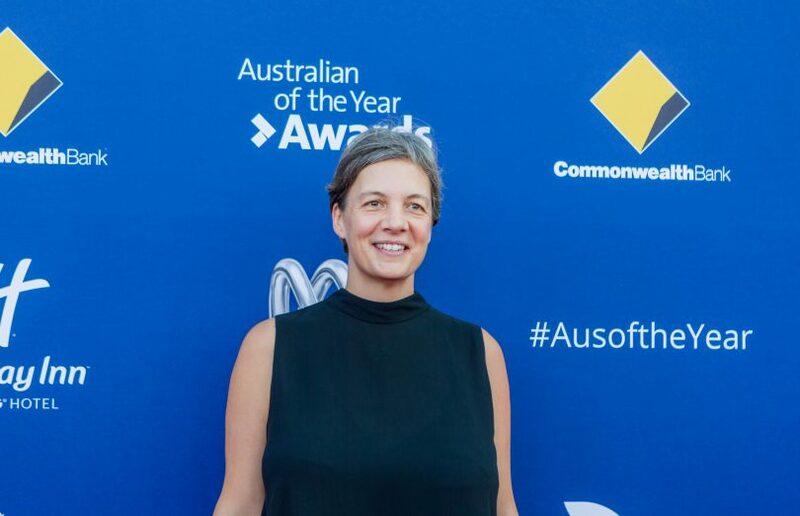 Australian of the Year Professor Michelle Yvonne Simmons. Photo: Jack Mohr. 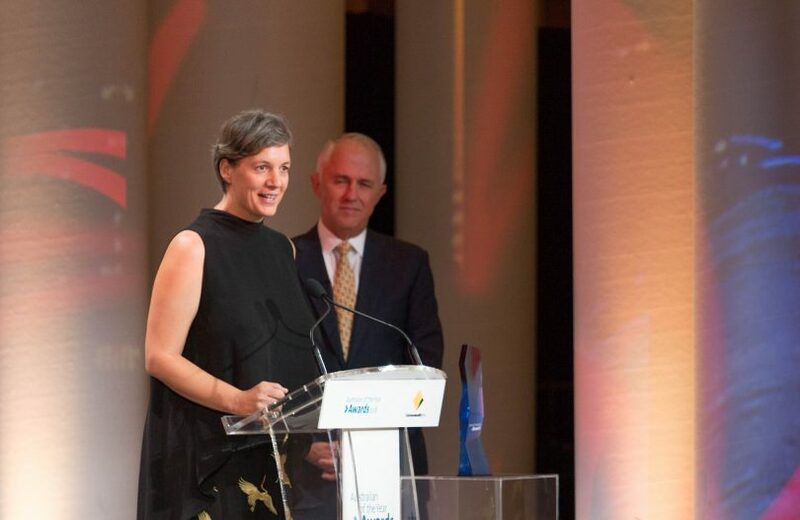 Professor Simmons has pioneered research that could lead to a quantum leap in computing and reshape the way we live and how we experience the world, with her work helping develop leading technology on a global scale, right here in Australia. Since arriving in Australia from Britain in 1999, Professor Simmons has transformed the University of NSW quantum physics department into a world leader in advanced computer systems. In 2012, Professor Simmons and her team created the world’s first transistor made from a single atom, along with the world’s thinnest wire. The breakthrough means Australia is now at the forefront of what she calls the “space race of the computing era”. Her aim is to build a quantum computer able to solve problems in minutes which would otherwise take thousands of years. Such a discovery has the potential to revolutionise drug design, weather forecasting, self-driving vehicles, artificial intelligence and much more. 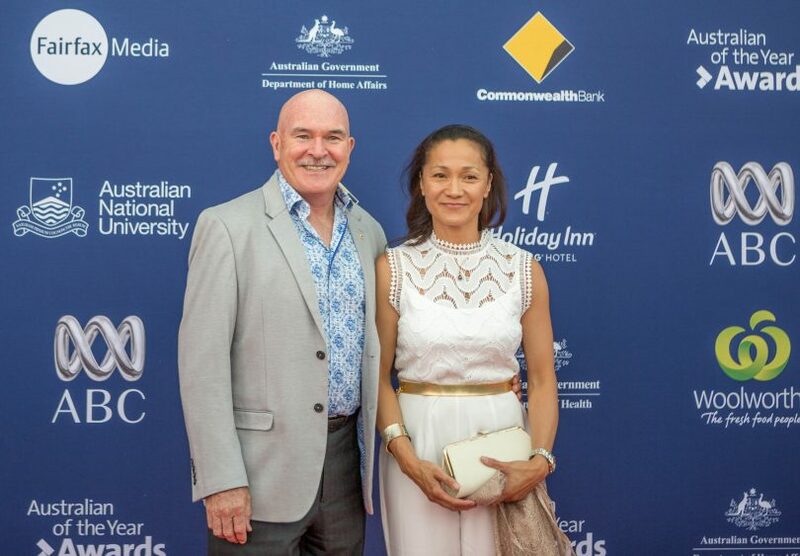 Professor Simmons is an evangelist for Australian scientific research and a role model to young scientists everywhere. The 50-year-old actively encourages all students – girls and boys – to dream big, challenge themselves and to achieve ambitious goals in science. Through her work she is naturally an inspiration for young women and a strong supporter of women in science, technology, engineering and mathematics. Local Hero and maths whiz Eddie Woo. Photo: Jack Mohr. The head mathematics teacher at Cherrybrook Technology High School in Western Sydney, Eddie started posting videos online in 2012 for a student who was sick with cancer and missing a lot of school. Before long, he was sharing the videos across the country and beyond. ‘Wootube’ now boasts more than 100,000 subscribers and has attracted more than eight million views worldwide and counting. With infectious enthusiasm, the father-of-three’s unique and caring approach to teaching destigmatises mathematics as an inaccessible and difficult subject. 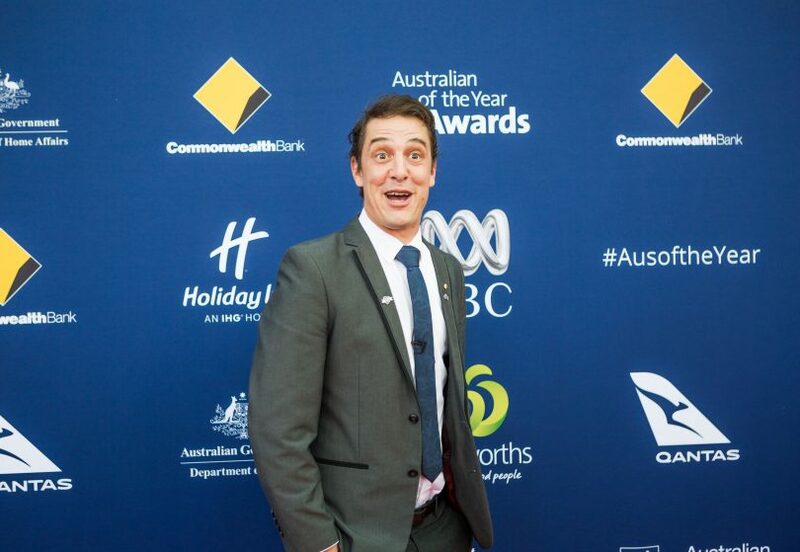 Outside his high school classroom, 32 year old Eddie is a volunteer facilitator with the University of Sydney’s Widening Participation and Outreach program and has motivated more than 1,400 students from disadvantaged backgrounds. 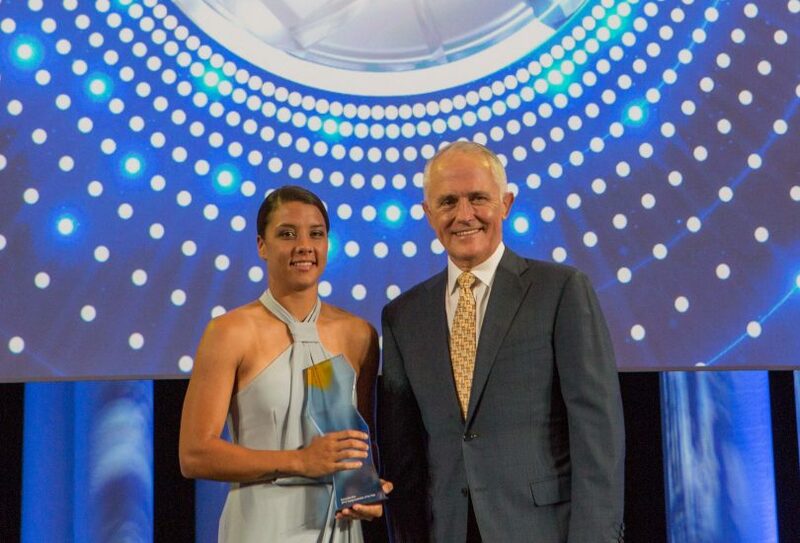 Young Australian of the Year Samantha Kerr. Photo: Jack Mohr. Samantha Kerr is arguably the best women’s soccer player in the world. When her dream of playing for the West Coast Eagles was shot down because she was the ‘wrong’ gender in a male-dominated sport, Sam switched codes. By the time she was 15, she was representing Australia in the Matildas. Now, aged 24, Kerr has held contracts with Sydney FC, Perth Glory and is in her fifth season in America’s National Women’s Soccer League, recently becoming its all-time leading goal scorer. In 2017, she was named a finalist for FIFA Female Player of the Year. The West Australian is an engaging ambassador for all women’s sport. Her love for the game and her country is infectious. While celebrating her prolific goal-scoring ability with a trademark backflip, Kerr is a well-grounded athlete who inspires young and old with her athletic prowess and sportsmanship. Her prodigious football skills are the basis of her stellar career, but her professionalism, commitment to being best on field and her remarkably mature approach to life stand as admirable examples to young women everywhere. 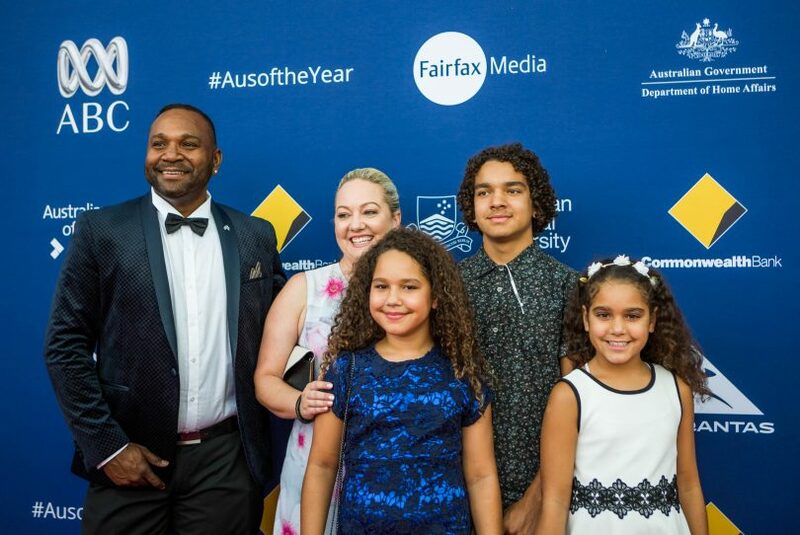 An inspirational sportsperson, Kerr is a champion of equality and a young woman whose achievements serve as motivation for girls to aim high and chase their dreams. 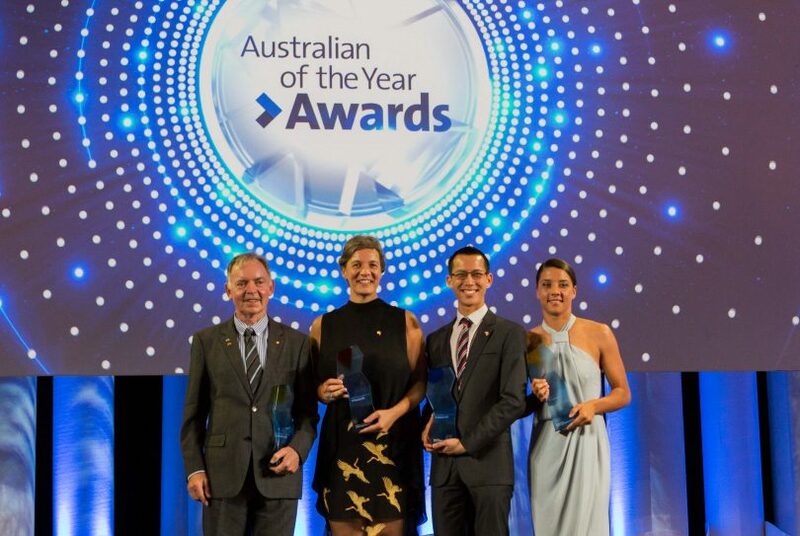 2018 Australian of the Year Award Winners. Photo: Jack Mohr. 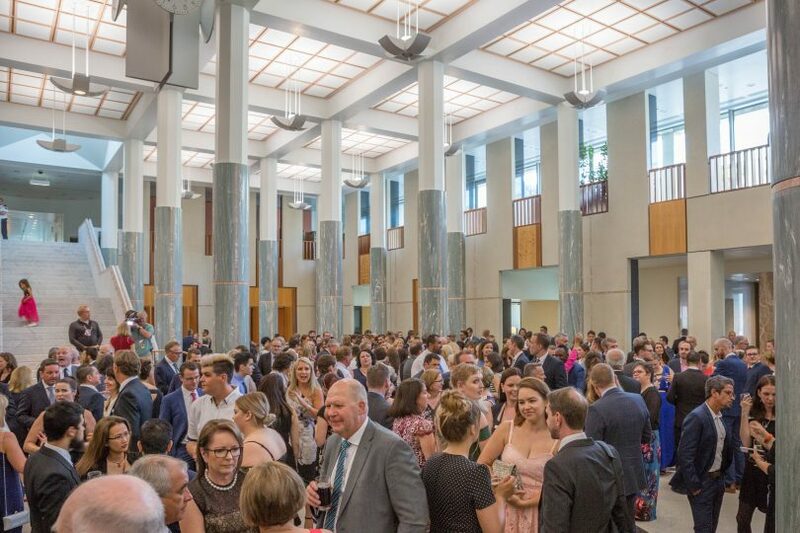 “Michelle, Eddie, Graham and Samantha are inspirational Australians whose contributions are making our wonderful nation a better place and making a real difference to the lives of others,” Ms Roche said.